Van Buren County was established in 1840 and named for U.S. President Martin Van Buren. The county seat is Spencer. One of the major attractions in the county is Fall Creek Falls State Park that covers over 19,000 acres in Van Buren and Bledsoe counties. The county is also home to Big Bone Cave that is listed on the National Register of Historic Places because in both the War of 1812 and the Civil War saltpeter was mined there. 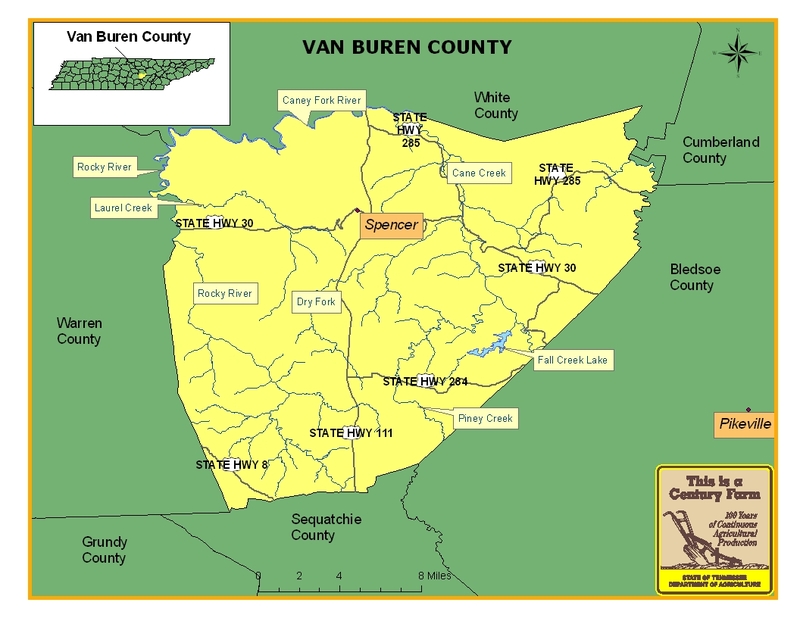 For more information regarding Van Buren County, please go to the Tennessee Encyclopedia of History & Culture website.